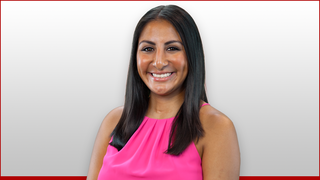 I am Justina Coronel, your new weekday Reporter and Weekend Producer. I am beyond excited to make the Eastern Shore my new home. I was born and raised in Fort Lauderdale, Florida where I grew up with a passion for journalism. I attended Florida State University for undergrad where I received my Bachelors in Communication and English in 2014. Go Noles! I was very involved during college, such as being Vice President of my sorority Kappa Alpha Theta, being on the Core Board for Dance Marathon, and being a staff writer for The Odyssey: The Greek Newspaper. After my undergrad years, I received my Master’s in Arts of Broadcast Journalism at the University of Miami in May 2016. I also was involved in UMTV’s NewsVision and NewsBreak, as well as being a staff writer for the Ibis Yearbook and a videographer for Distraction Magazine. During my time there, I also interned for the Miami Heat, in which I learned so much and believe it was the best internship that I’ve ever had! I love getting involved because I think it is great to be a part of something bigger than yourself. That being said, I am so thrilled to join the 47 ABC team and get to know more about Delmarva. When I’m not looking for interesting stories in the newsroom, you can find me adventuring out, playing basketball, eating pizza while watching Friends, listening to Red Hot Chili Peppers or Biggie Smalls, traveling the world, or simply just trying to seize the day. If you see me around, don’t hesitate to say hello! If you have a story idea or any feedback feel free to contact me. You can also follow on Twitter @JustinaCoronel to see the latest news! SoDel Concepts will now produce beer by creating new brewpub, Thompson Island Brewing Co.